Well, one thing that I should say from the very start is that there are some basic don't's that you learn as a kid. Now I know one more thing to be added to that list. You do not get invovled into any dark rituals, that can lead you to some not good results. Do you want me to back it up? Just play Dark Ritual. So you paly as an FBI agent trying to find her missing sister. The game is really dark and I would even say sick in its story. I believe that stories like that just destroy our brains. But I also know that there are those who disagree with me out there. So they might enjoy the story better than me. So you paly as an FBI agent trying to find her missing sister. You do not know what exactly had happened, but you know that it has something to do with the rituals she was involved into. The game takes a mystical turn after you find a scientist that uses some kind of mind controlling serum. So in this whole paranoic mess you are trying to find your sister and deal with the scientist. 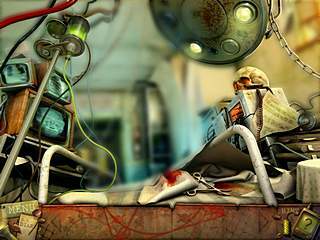 This uneasy journey will take you to a number of hidden object scenes and different mini-games. There is also a lot of adventure kind of tasks. And even the hidden object levels are presented as parts of a general quest. 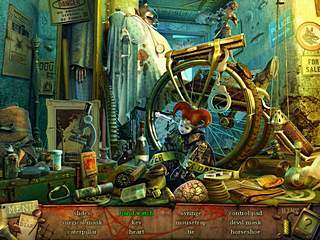 The items on the list of hidden object searches may be a bit missleading, but not too much to spoil the whole game. 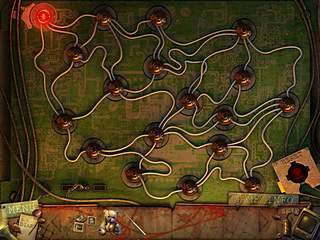 The game is quite long depending on the player's skills of course. There aren't any big flaws in the game, but there aren't any big suprises either. What hold everything together and keeps you interested even when the game gets a bit repetitive is the freaking atmosphere of some twisted reality. Of course if you interested in filling your mind with any of that. The graphics do their job so very well with all the details and colors. The game is dark and spooky, but is almost perfect gameplaywise. This is Dark Ritual for Mac review. Download this game here.